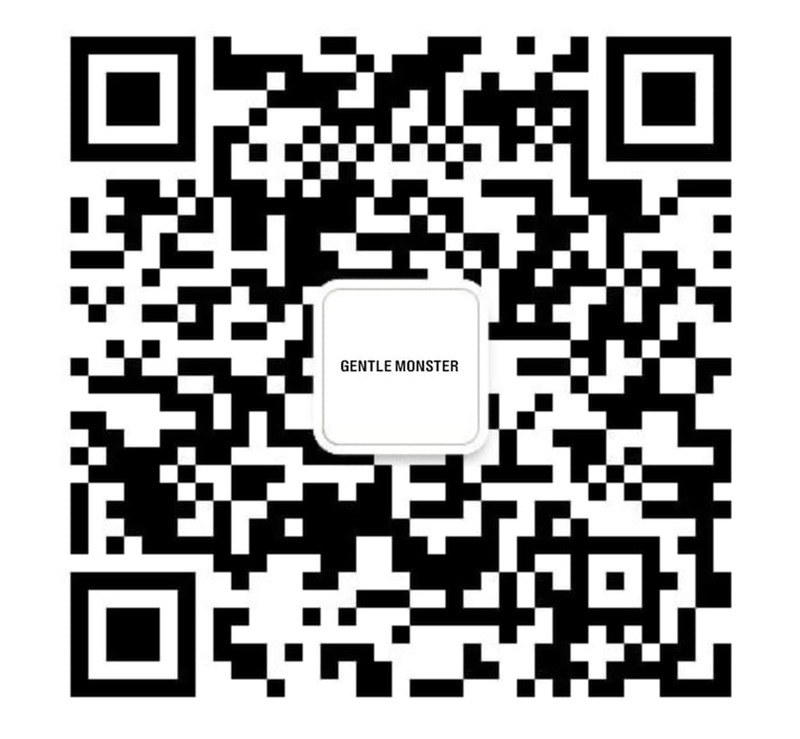 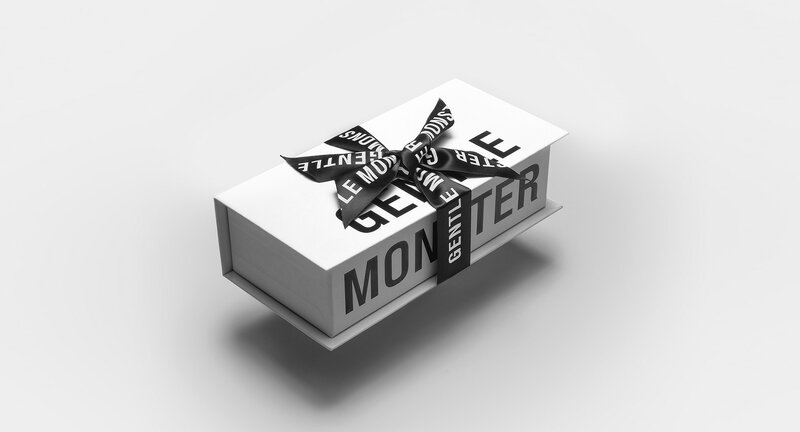 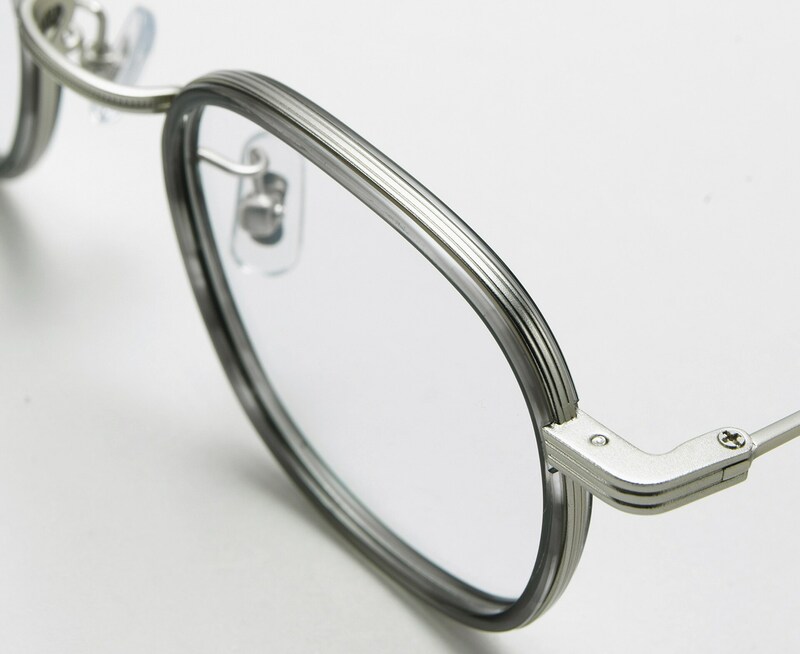 The Coco GD1 offers a more angular alternative to our Yeti style. 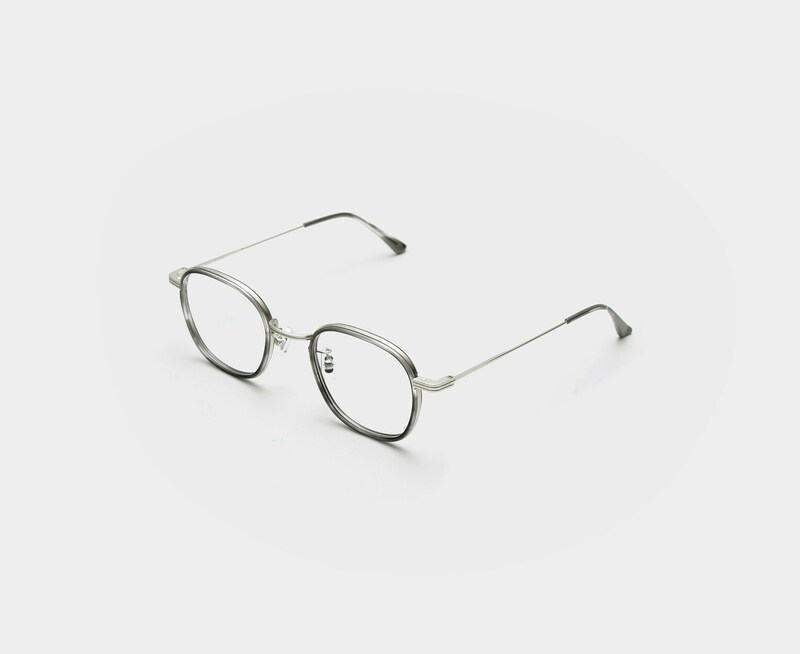 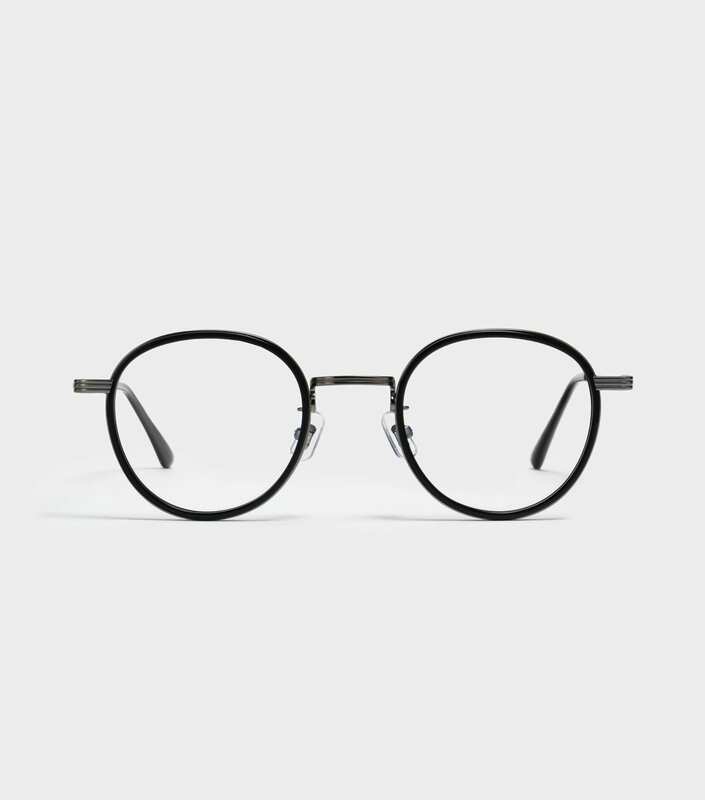 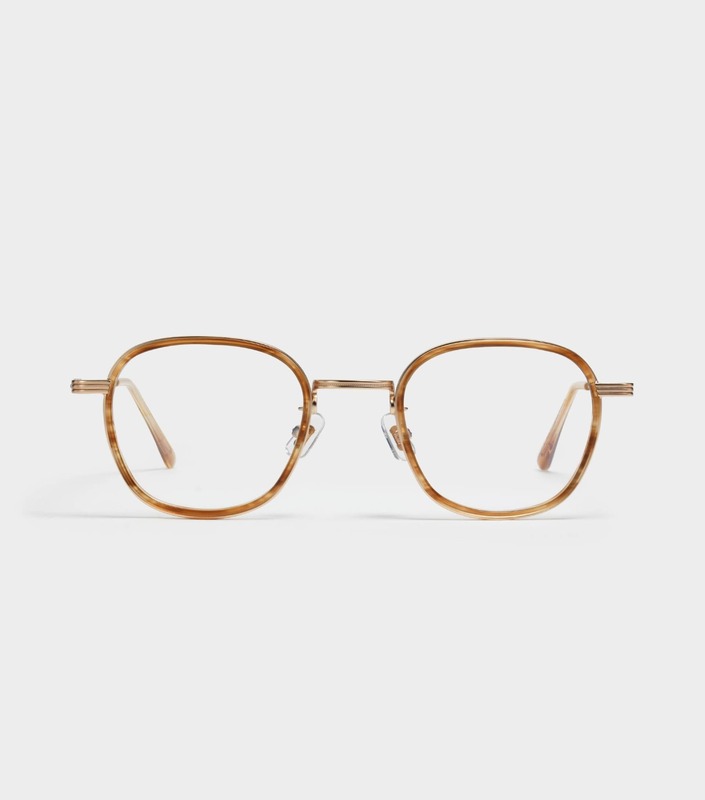 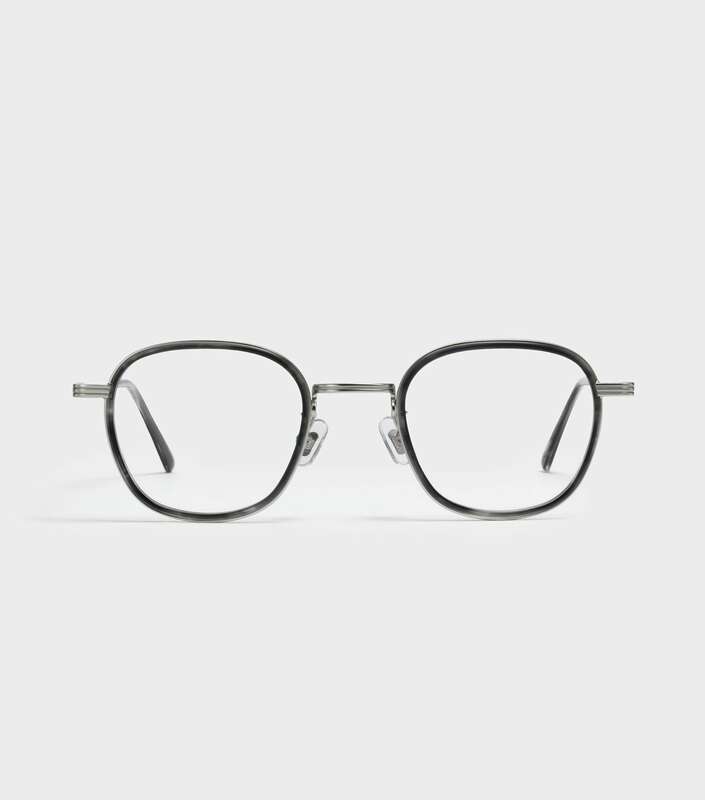 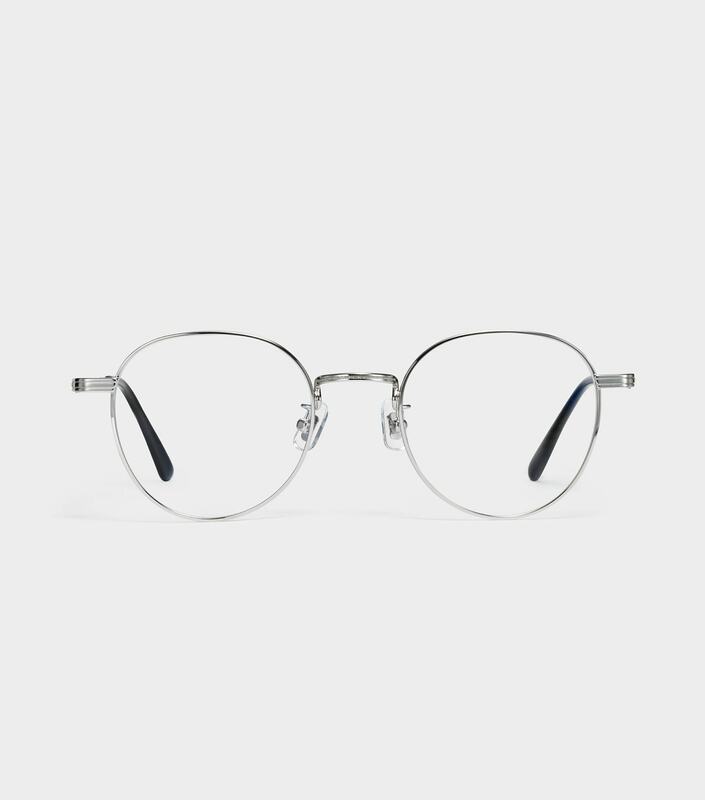 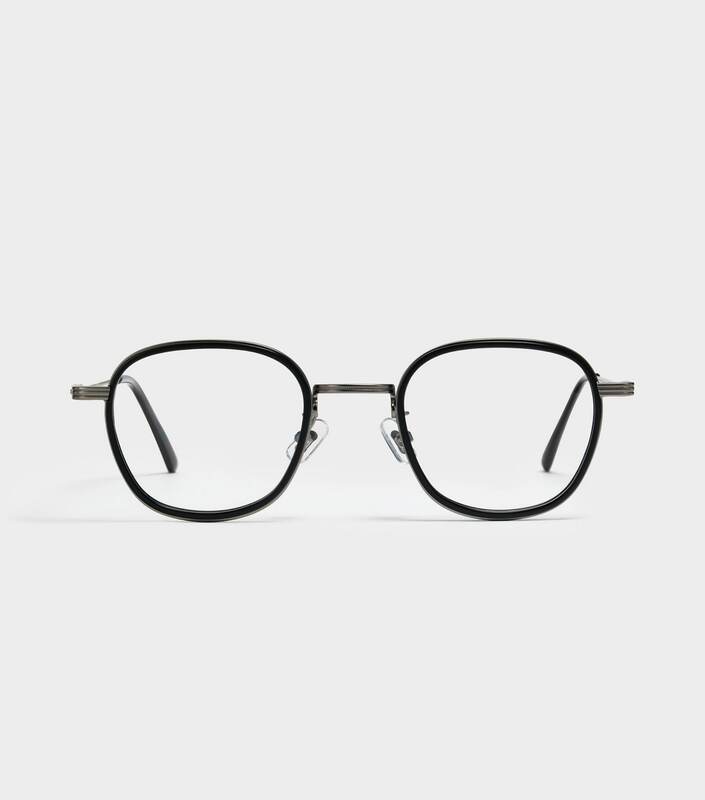 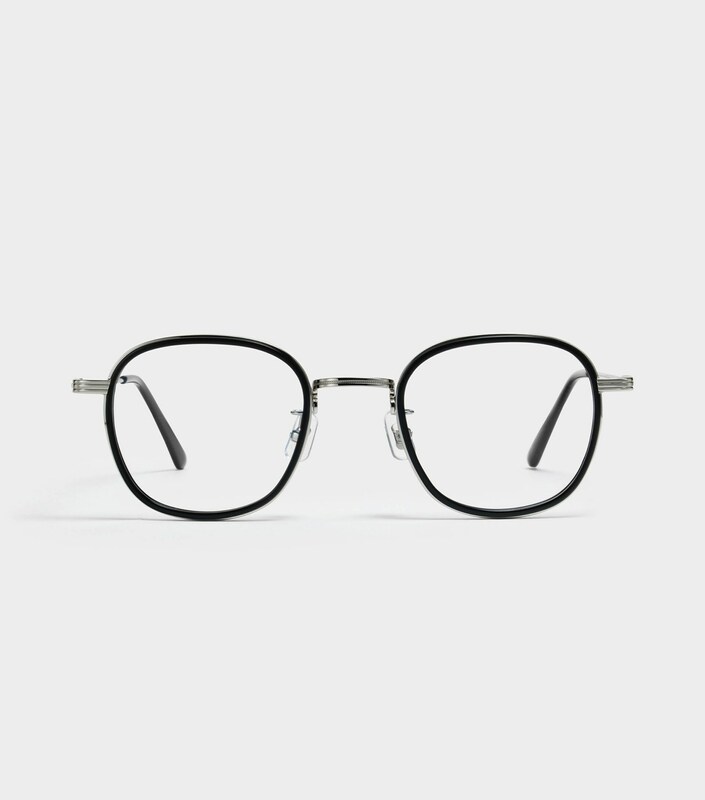 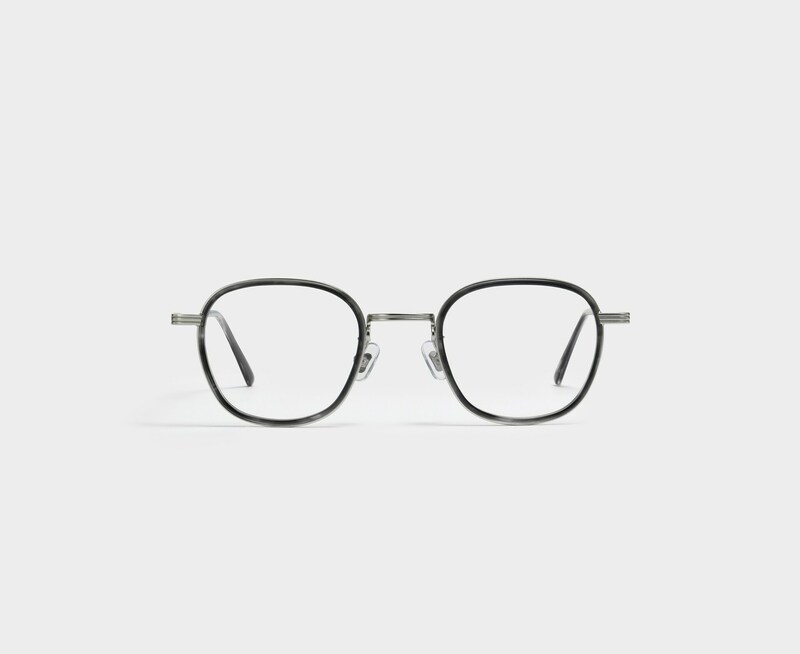 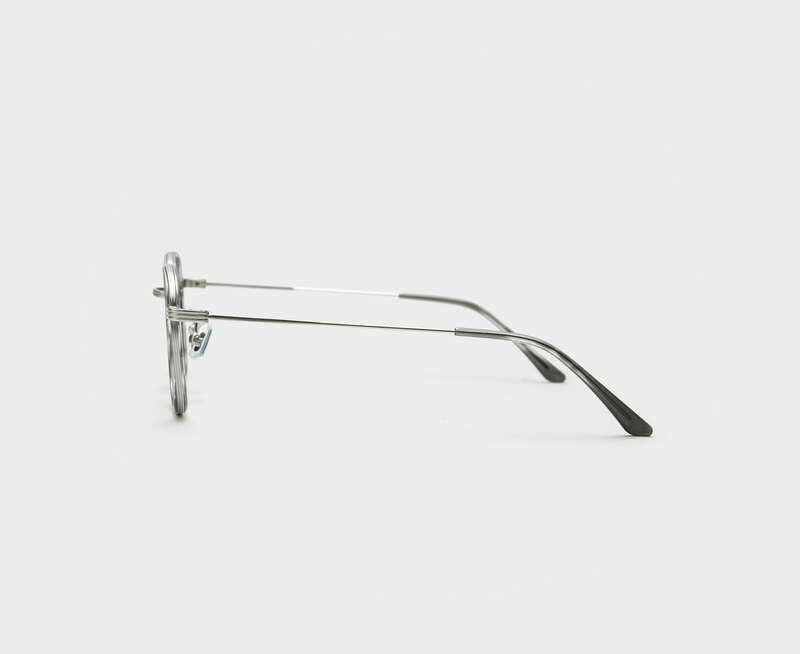 This frame is composed of a gray demi clear acetate frame front lined with grooved silver stainless steel. 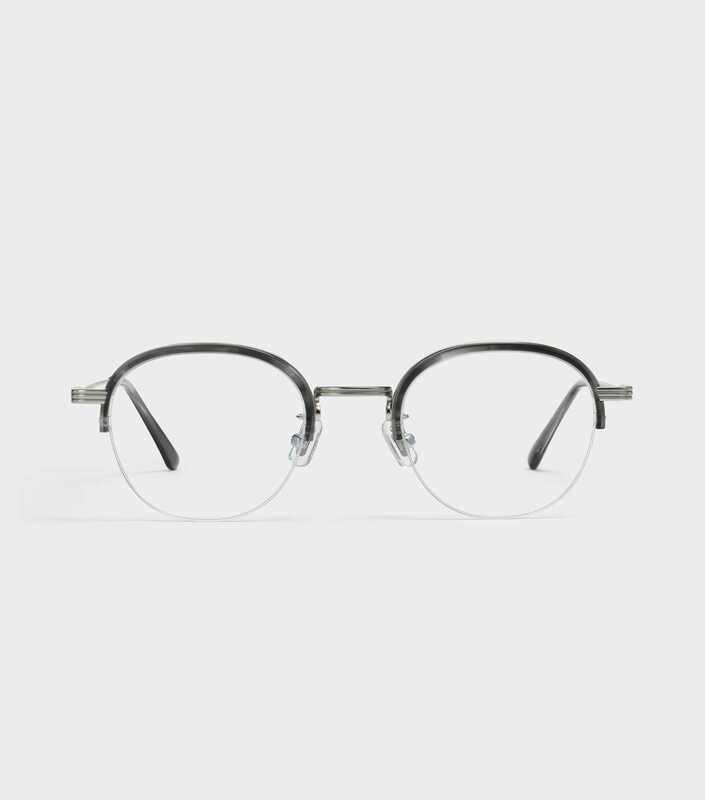 The thin temples are finished with acetate temple tips and the entire frame is brought together with our collection’s signature end pieces.